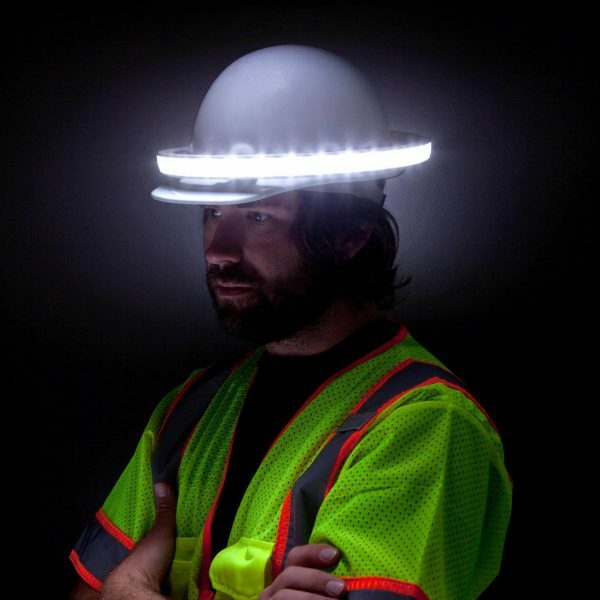 The Halo Light is a patented 360° personal active safety system (PASS) that attaches to any hard hat and produces a ring of light around the wearer enabling him or her to see and be seen in all directions at all times. 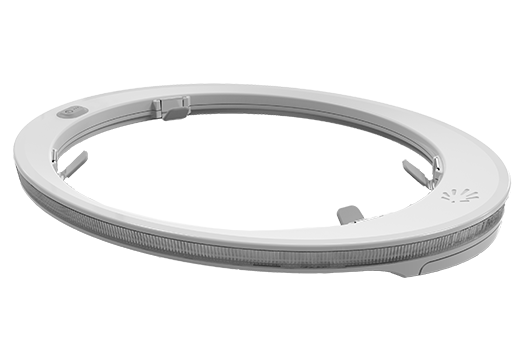 This version of the Halo Light is wireless and runs on a battery inside the unit itself! 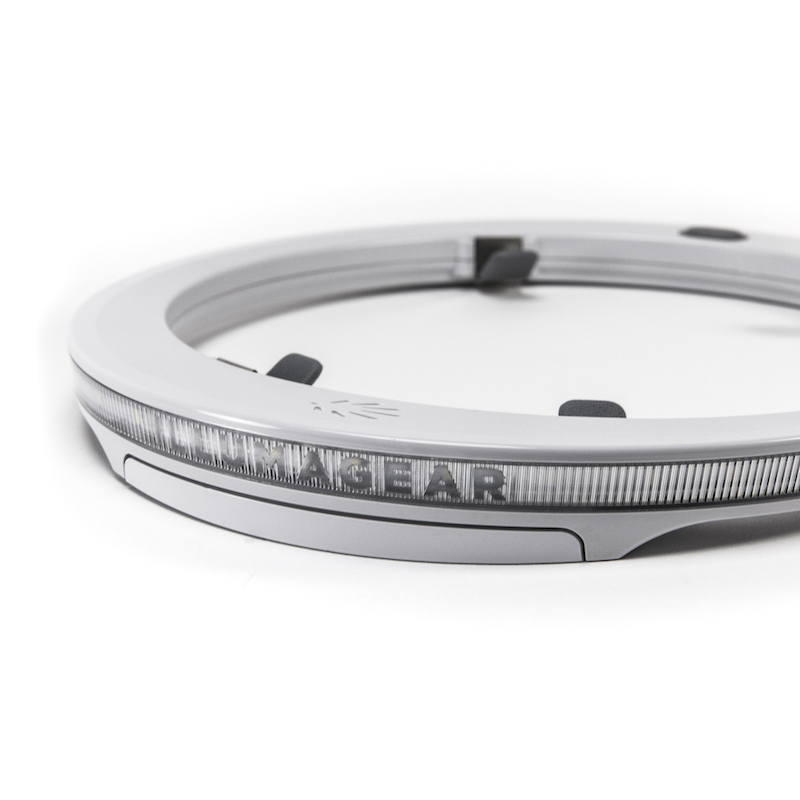 The Halo Light comes with 1 rechargeable battery. 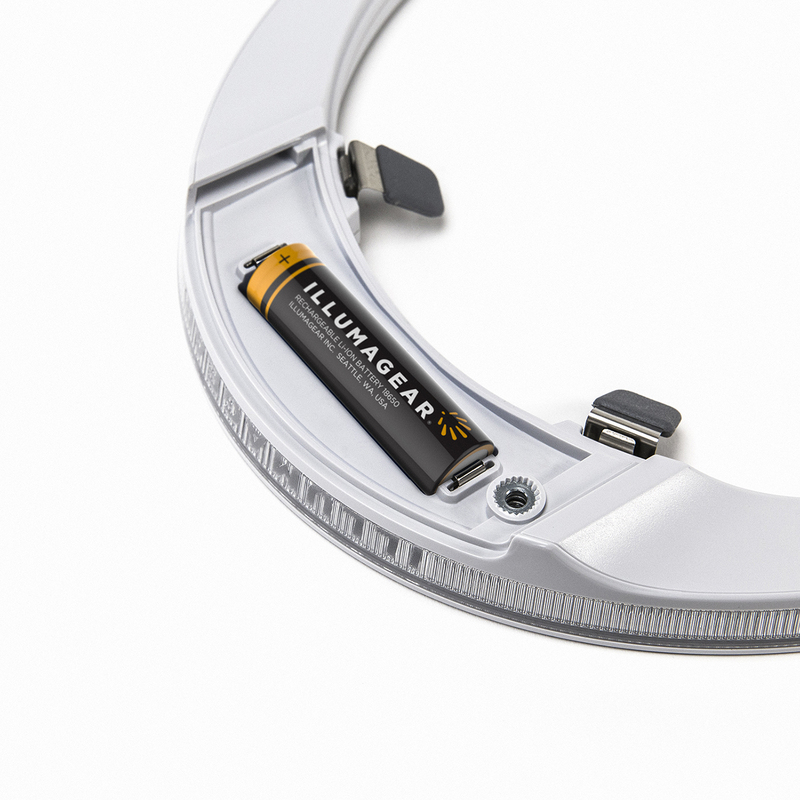 Chargers and extra batteries sold separately!